Save money with one our discounted Third Party Product Support Plans which cover remote / phone support services with one of our techs for help with third party product related issues. For accounts located in the Tampa bay area, this service plan may also be used to cover onsite service visit support, remote or phone support. Each session has a half hour minimum with any time thereafter billed in 15 minute increments. Onsite service visits have a one hour minimum plus travel time. Sessions are held by appointment during our normal business hours weekdays between 9 am and 5 pm ET (last appointment at 4 pm), excluding holidays; emergency support and after hours are billed at time and half for every hour. For onsite outside area, additional travel and per diem charges apply – for pricing, contact us. NOTE: If you don’t have a 3rd party product support plan in place, our hourly Pay as You Go rate is $150 per hour for standard support services, and emergency support is billed at time and a half; payment is due at the end of the support session/service visit. 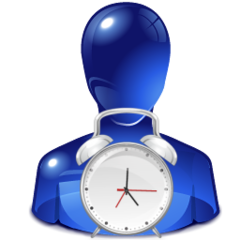 If you used up your previous block of support hours or have gone over the time remaining, be sure to purchase a block of hours to cover the time used within three days of going over on time or your account will be billed at the current hourly rate.